Using this sketch from the Tickled Pink Blog, I created the card below. Here is my take on the above sketch. 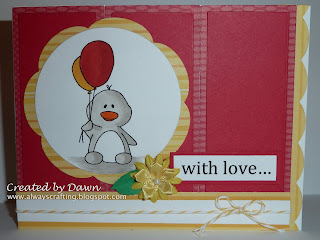 I used the cute penguin digi stamps from C&C designs for the image on my card. He is cute isn't he! 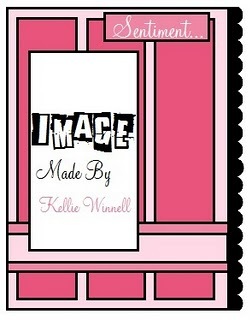 I wanted to use a Tickled Pink Stamp but was unable to find a digital stamp to purchase. This is a fabulous project, such a cute penguin! Thank you so much for entering the Allsorts challenge this week and good luck! Aw! so cute! Thanks for joining us at Kaboodle Doodles! He is adorable.. Thank you so much for playing along with us at CCCB!